to take home the wall. Soon ImaginaryJesus.com will be up and running! April first! And I just saw a sneak preview of the contest website, revealing all the cool prizes. Reviews are pouring in! 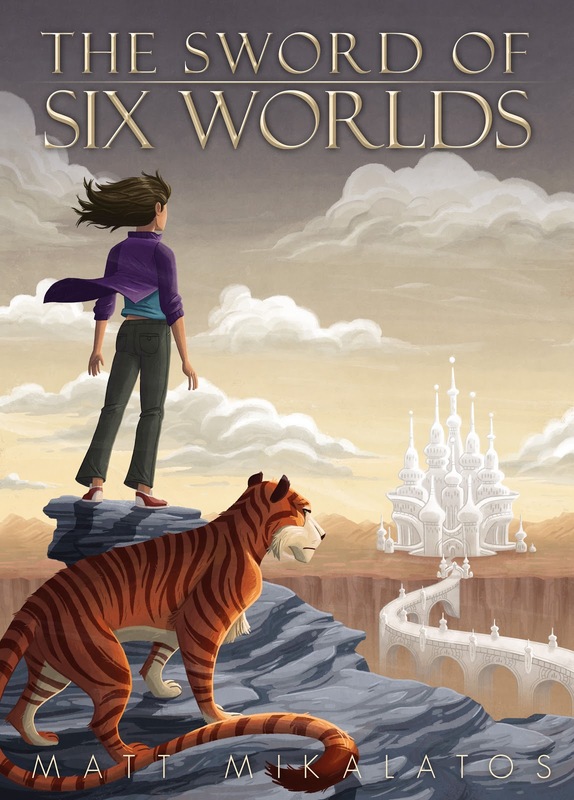 You can buy the audio book for only 98 cents for another 48 hours! A shot rang out! Suddenly, a pirate ship appeared on the horizon! The worst thing about space is how it makes your arms and legs get all short and stubby but inflates your head. Also the lack of oxygen. Other than that, space is awesome. Last week I was invited to go to the Public Library Association's national conference here in Portland and sign copies of Imaginary Jesus. The fine folks at Tyndale set it all up, and I had a really great time with Michael, who ran the Tyndale booth. Krista came, too, which was fun. Here's a picture at the left of me signing a book. As you can see it requires a great amount of concentration to sign a book properly. Here's what I am saying to myself in my mind... "M..I..K..A..L..A..T..O..S.. is that right?" In case you didn't know this, librarians are awesome. Most of them love books. One librarian told me about how she collects signed copies of books. I asked her what her best book is and she told me she has a signed first edition of Madeline L'Engle's A Wrinkle in Time. (!) Only one librarian told me that she didn't want a copy of my book because she doesn't like books. I thought that was just sad. Or possibly sarcasm. For this second picture, Krista told me to stop signing books so I could concentrate on smiling. That was easier! I'm sure after some more practice I will be able to smile and sign at the same time. At one point I saw this long line of people (I only ever had short lines) and I thought, this person must be an expert author, so I snuck to the front of the line to see who it was and discovered it was the free snacks table. You can also see on the right the awesome poster that the Tyndale crew put together for the signing. It is in my car right now. There were these other two librarians who, when I offered them each a copy of my book, said they would just take one and share it with each other. I knew then they were excellent librarians. Because libraries are all about sharing. Or at least lending. Overall, this was a great time. I enjoyed getting to know Michael, and I met a lot of cool people while signing books. Two people wrote me that night that they were already done with the book and had liked it! I know a lot of you would have liked to have been there for a free copy of Imaginary Jesus, and I wish you could have been there. The best I can do for you right now is to tell you that Christian Audio is practically giving away the audio book right now for 98 cents. This is a one-time thing and the offer is good until April 1st at 10 a.m. PDT. So, to all those librarians out there, thanks for everything you do, and I look forward to hearing from you! As you may recall, April 1st has been the slated release date for Imaginary Jesus. I know some of you are waiting for April 1, so you can get it on April Fool's Day. 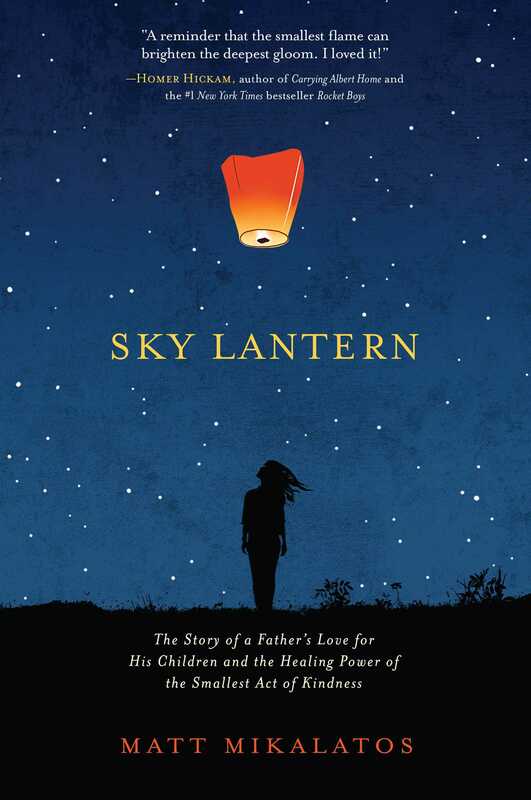 And some of you keep writing me over and over and asking, "Do you actually have a book coming out? Is this an elaborate practical joke?" 1) A big, secret surprise related to the audio book. I can't say more right now, but it's the sort of thing that will make you say, "Me likee." 2) The mind-blowing unveiling of ImaginaryJesus.com. It's going to be amazing. With a capital ZING! Be sure to drop by there and sign up for the Imaginary Friends newsletter, which will be sent out rarely. It will be rare like gold. Which is to say, so rare that it makes it worth more. 3) The beginning of a spectacular contest related to Imaginary Jesus. I can't go into details about it yet or lawyers will leap out of the internet to tape my lips shut. But it is cool. So cool that I wish I could win it myself, but I am not allowed to enter the contest. But perhaps "Mike Mattalatos" can enter. Moowha-ha-haaa! 4) Maybe I will give away something. Anybody want me to give away something? What do you suggest? I know someone who has the sweat pants of someone famous. Or I could give away a copy of some book or something. If you can think of one you would want. Okay... APRIL FIRST. Write it on your calendar. But don't hold your breath because that is a long time to hold your breath. News From My Neighborhood: Social Experiments You Can Do In Your Own Neighborhood! Someone decided that the roses outside our fence would be a good place to hold gum. They carefully wrapped a piece of white gum around a branch of the rose. My kids and I discussed this as we walked past it on our way to school. Z: Why would someone do that? Me: Because they are dumb. A: You should not say that someone is dumb. Maybe they just didn't know what they were doing. Me: Oh, they knew what they were doing alright. A: Then why would they do that. Me: Because they are dumb? Alternate theory: Science experiment? Remember kids, science is not a toy! Someone who has been discarding giant cans of Arizona brand iced tea in our neighborhood. I am collecting them. I've collected about four of them so far, from different blocks on the neighborhood. I'm not sure why someone is walking to the nearby convenience store (I can tell by the sticker on the can) and then wandering into our neighborhood and leaving the can in a different place every day. Is it compulsive? Some magic trick? An advertising gimmick for iced tea? Evidence that people who are "green" are bigger jerks than people who are not green? The last few weeks I have been using the walk to take the kids to school to experiment on the neighborhood. And here is what I am doing. In the past I noticed that no one would say hi to me as I walked by. So, I started saying hello to everyone I pass, whether they look away or even walk on the other side of the street. Over the last two weeks this has caused almost everyone to say hello to me, except for one junior high boy and one grandfather (who is about 50% on his reciprocal greeting). The payoff came this week, when I chose a day on which I would not say hi to anyone unless they said it to me first. And it worked! Everyone initiated saying hello to me. Soon my plan for world friendification will be... complete. PHASE TWO: I am waving to all the cars that pass me in the neighborhood. Mooo-wha-ha-ha-haaaaaa! There's been a lot of speculation about LOST spin offs, what with the greatest show in recent history coming to an end this season. I am sad to see it go. But I saw an announcement today about a spin off series in the works. 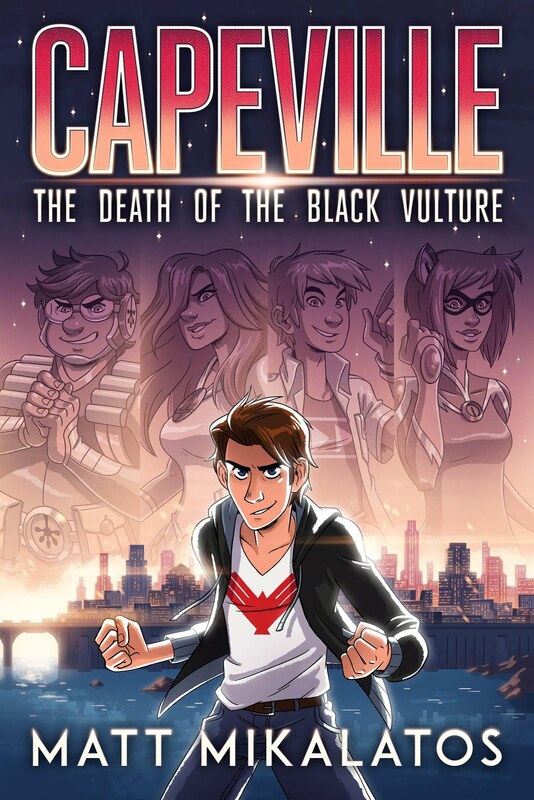 And after reading the description, I'll just go out on a limb and say I WOULD WATCH THIS SHOW. Yesterday morning I made A's lunch. She typically has yogurt for lunch, so I asked her which flavor she wanted. A: Boysenberry! Wait. Let me see it first. I handed her the container and she looked at it carefully. A: Do you think there's poison in this? 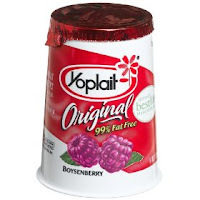 Me: No, it says Boysenberry, not Poisonberry. Me: Do you think they would sell yogurt with poison in it? And your parents would buy it and put it in your lunch... why? That's pretty much exactly how I pictured getting my first batch of my first published novel. And that's just what it was like! I'm not sure who traveled back in time to make sure that I was able to beat up the bully and woo my wife, but THANKS! There was a feeling that there should be a celebration, but not a book release party (although we may do one of those in Portland sometime soon... I'll let you know when we get that figured out). 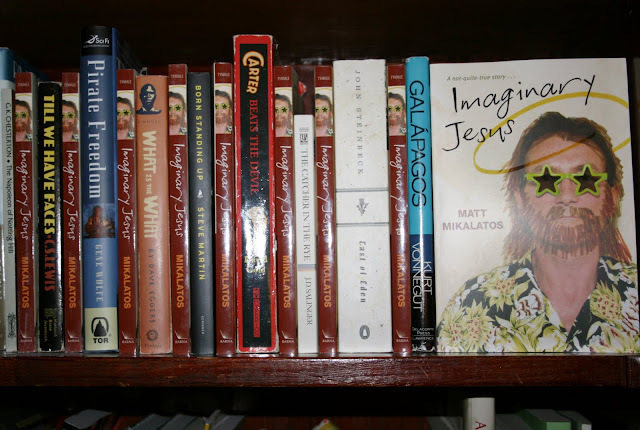 So last night I did something I've always secretly wanted to do: I grabbed some books I love and forced them to stand on the shelf next to Imaginary Jesus. And then I took pictures. Of course this isn't a definitive or exhaustive list, it's just some of my favorite books I could quickly grab off the shelf and rearrange. The beauty is I can now do this every night with a different selection of books. 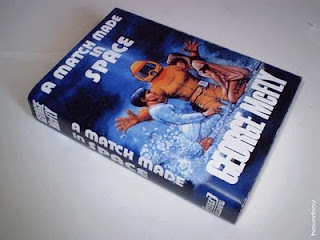 Now is a good time for you to buy your own copies so you can build a fort, have a stylish door stop, brag to your friends that you are the minion to a published author, give it to your worst enemies in the hopes that they will choke on it, or to read. It's also available as an audio book, if you think you can bear to hear the luxurious silkiness of the author's voice for several hours straight. What If... Imaginary Jesus Was Written By Someone Smart? 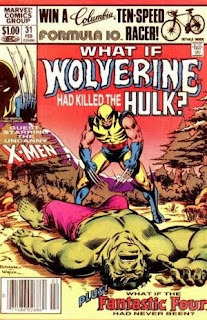 I used to love the "What If" series of comics, in which Extremely Important questions were asked, like, "What If Wolverine Had Killed the Hulk"? As I recall, the poor Canadian mutant went on the run and eventually killed Magneto while tragically dying himself. But enough comic drama. I received an email this morning from BHR minion Vincent Lin from Taiwan who wrote in to tell me that he had read an article online that made him think of what Imaginary Jesus might be like. I took a look at the article and realized it was a sort of "What If..." story itself. "What If... Imaginary Jesus Was Written By Someone Smart?" Z turns nine this year, and she is already planning for her big "horse party." Part of this includes making up new games. On the way to school today she and A came up with a game called "Pick Up the Poop." A: They have to be really big tootsie rolls! Z: And you hide them in the grass. A: And then everyone goes out to find them in the grass! Z: And whoever gets the most wins! A: What do they win? Z: They don't win a prize, they win the game. Because, you see, if you found all the poop, that's prize enough. Be sure to watch this space. If this makes it to the birthday party next month I'll be sure to include pictures. My wife says it is almost never appropriate to say, "Hello, ladies" because it sounds creepy, but I think a strong case can be made that when one is writing a post for International Women's Day it is not only appropriate but expected. International Women's Day was started in 1911 and a lot has changed since then. Notice, for instance, the comic on the left. 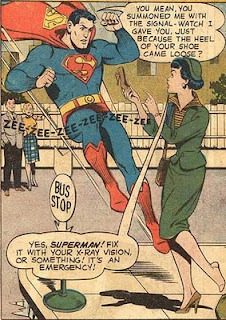 Why, these days Lois would just use her cell phone to call Superman. Harriet Beecher Stowe said that "Women are the real architects of society" and she should know, since she started the Civil War. I am glad for the positive changes in women's roles over the years, and I know that many of the people who have had the most profound impact on my life have been women. There's still work to be done, for sure, before there is true equality in our society, but I think we're still headed in the right direction. As a little IWD treat, here's my first ever published article, written in a moment of anger when someone said something demeaning about the role of women in spiritual leadership. Please enjoy "Estrogen Dampens the Holy Spirit." And Happy International Women's Day to all the women out there. We're thankful for you and appreciative of your many contributions to society and making life better. I am the TSA Customer Service Assistant here at Portland International Airport (PDX) and my Manager just forwarded The Burning Hearts Revolution Blog to me. Thank you for making our day! We were thoroughly entertained and in stitches while reading your words. We truly hope you feel that loved by PDX. We indeed are extremely appreciative and in awe of your expert-ness! J Thanks again! And now I have bolded and repeated the most important sentence for your reading enjoyment, so that it will burn itself into your brain as a testimony to the fact that I do not "make stuff up" at this blog but that it really is a wonderful sight to behold my family going through security: "We indeed are extremely appreciative and in awe of your expert-ness!" And before you accuse me of making up this letter, no, it's real. So there. Krista: -- this part is where they walk on the red carpet, which is a special carpet for the Oscars. A: There is nothing special about a red carpet. Krista: Well, they like to think that there is. Dedicated to the two gentlemen who ate lunch at Nicholas' Restaurant today, at the table next to me and my good friend, Shasta. Man #1: My girlfriend and I are debating either adopting a kid or getting a dog together. Man #1: Not to make light of the whole thing. Man #1: I'm not sure I would want to raise a dog in a world like this one, anyway. Hi friends. Three updates for today. 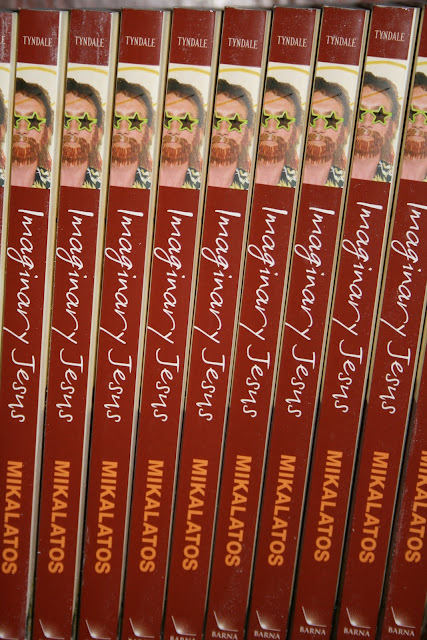 One, someone rightly points out that Imaginary Jesus is an excellent book to buy as an Easter gift. I know you would love to find it tucked into that furry bunny basket under your Easter Tree. Two, here's the first part of an interview with me about the book. My hope is that eventually you all will have read enough interviews that I can then refer newspaper reporters to ask you any questions and that you will be able to answer them precisely the same way that I would. As you know, my rule of thumb is "when in doubt mention ninjas or unicorns." Three, ImaginaryJesus.com is gearing up to go live on April 1st. That's less than a month away! There will be some amazing celebrations around the globe in honor of the website going live and the book coming out. It will be like the ewoks celebrating the destruction of the second Death Star. In the meantime, you can sign up on for the "Imaginary Friends" e-mail list, which will give sneak peaks, advanced news and special bonuses here.